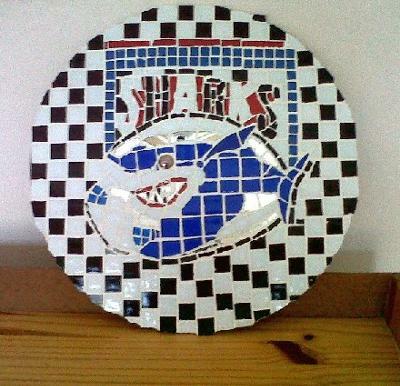 I started doing mosaics a few weeks ago and the first item was a logo for a Rugby team in South Africa. Started doing it because I was out of a job and used the mosaics to keep me busy. It has now turned into a business. I have already received many commissions of verious items.